Today, there are different types of web hosting to choose from. If you are considering the Windows Server hosting, it basically operates on the same server where all your content is stored while at the same time handling events so that your website will run smoothly and efficiently. In some cases, the operating system to be used is an important consideration whether to choose Window web hosting, Linux or another operating system. In the past, the release of Windows 1.0 drastically changed the way computers were used. Back in 1981, Chase Bishop created an interface that is capable of displaying information on boxes that were tiled all over the screen. Understandably, these boxes or windows became the starting element of almost every computing graphical user interface (GUI) that was released. Even though it was not an operating system at its preliminary phase, the interface quickly gained popularity due to its versatility. In 1993, Windows dominated both home and office environment by becoming the most popular and regularly used software. Nevertheless, the Internet was already overtaking the scene and became an essential part of our lives. It resulted to the demand for a dependable network operating system that is capable of handling the requirements of delivering remote traffic while at the same time exceedingly responsive. Due to this, Microsoft released Microsoft Windows NT which was optimized for uptime, reliability and software portability. This release by Microsoft paved the way for the availability of Windows servers in the market. Majority of the Windows hosting plans offered today includes Windows Server 2003 and Windows Server 2008 which both originated from the Windows NT core. These Windows web servers boast robustness and versatility that can parallel the features offered by UNIX and Linux. The Windows server hosting stands out from Linux due to its capability to surpass it in various aspects. ASP.NET is considered vital to Windows server hosting. It basically allows developers to create dynamic, unique and interactive web-content that can attract potential clients to their websites. With the ASP.NET framework, it helps in streamlining the process of developing web applications by supplying built-in codes to deal with common functions utilized on a regular basis. As a Microsoft project, ASP.NET can only be included in a Windows server hosting service. This is definitely a factor in attracting companies and businesses to choose a Windows server hosting. ◈ .Net framework by the Windows server hosting can provide you with what you need if your website depends on visual basic or .net. ◈ For those using Microsoft Front Page, a Windows server hosting will make life hassle-free with the help of the Front Page extensions. ◈ If you have been using the Windows operating system, this hosting is easy to use. ◈ ASP.NET is offered in a Windows server hosting plan. ◈ In case your website needs to gather its data from an Access database, a Windows server can integrate the database flawlessly. ◈ Ideal for those who utilize Visual Interdev or planning to develop applications on their site that is Windows-based. Even though the advantages offered by Windows server hosting are appealing, it is best that you are familiar with the disadvantages of the hosting plan first before finalizing your decision. ◈ Stability issues since a server operating on a Windows platform is not guaranteed stable unlike one that is running UNIX. There are some downtime issues as well as problems encountered on a regular basis. ◈ In terms of performance, Windows servers operate in a slower rate than the UNIX servers. This is not ideal if your website requires fast loading times. ◈ More resources are needed if a Windows server is used. It will require additional disk space, RAM and even bandwidth which will only add to your expenses. ◈ Tendency to reboot more often which can lead to unwanted downtime for your website. ◈ Compatibility issues if you are planning to use PERL or CGI applications on your website. 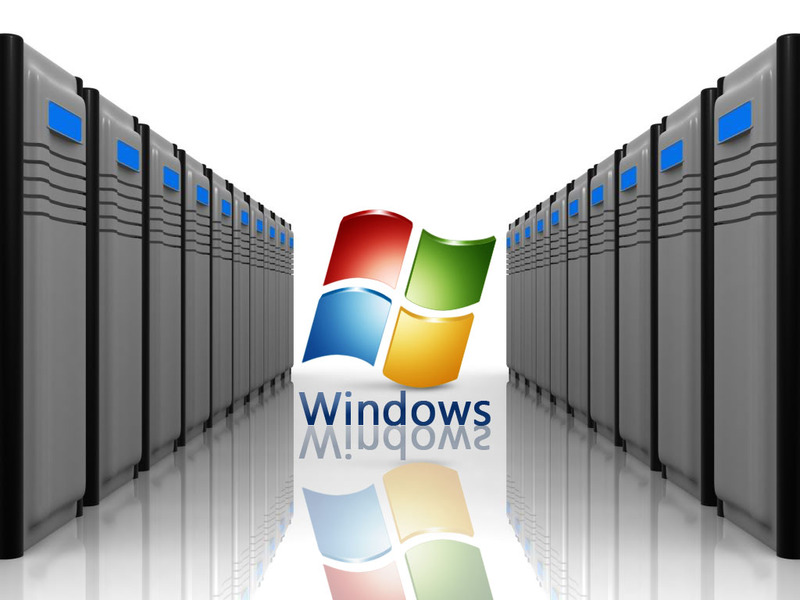 ◈ Windows is not a free operating platform, thus the Windows server hosting will cost more. Additionally, there are limited free applications that can run on a Windows server.